The Darling's waterholes: going, going? UNE research suggests that the Darling River's waterholes have grown shallower over the past century, with uncertain implications for the river's aquatic life. The Darling River’s waterholes have grown shallower over the past century, potentially threatening the vital role of these ecosystems as refuges for fish and other river creatures during the Outback’s long dry spells. Dubbo-based University of New England (UNE) PhD student Marita Pearson concluded that the Darling’s waterholes have silted up after comparing an extensive survey of the river made in the 1890s with a modern sonar survey undertaken in 2015. 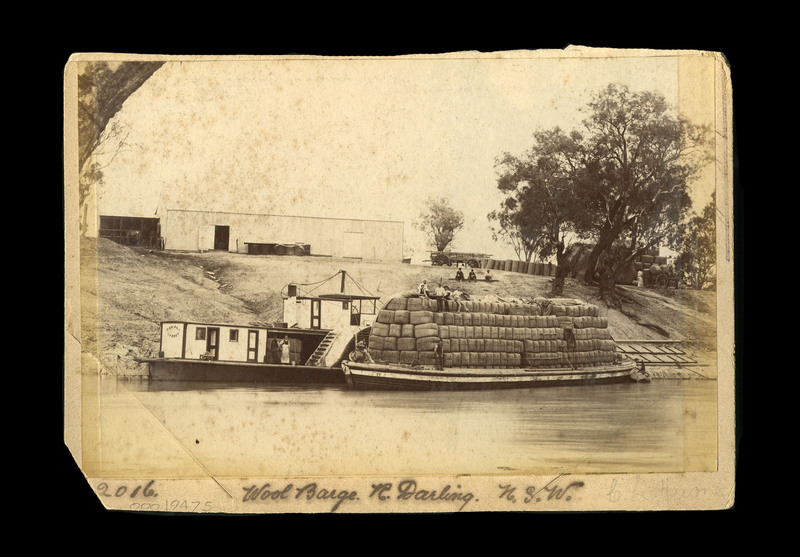 “There is good evidence that between Walgett and Wilcannia, the river is significantly shallower now compared to the late 19th Century, when it was used by paddle steamers,” Ms Pearson said. One of Ms Pearson’s research supervisors, UNE geographer Dr Michael Reid, said the finding is important for a number of reasons, not least because inland waterholes are all-important aquatic refuges. “In dry times — which is most of the time in the Outback — most of the life of our inland rivers is concentrated in and around these waterholes,” Dr Reid said. Shallower waterholes mean a greater likelihood of drying during long dry spells, which limits the waterholes’ value as refuges to aquatic biota. Shallower waterholes can also mean higher water temperatures and poorer water quality. “Severe spikes in temperature, which could happen if the waterholes become too shallow, could result in poorer water quality and threaten the ability of even well-adapted species to survive,” Dr Reid said. Ms Pearson arrived at her conclusions, which she is readying for publication, after devising a method for comparing surveys made more than a century apart. The 1890s survey, conducted manually, was undertaken to investigate potential locations for a series of locks and weirs that would assist the river’s paddle steamer traffic and provide a water supply to early settlers. The 2015 channel survey was conducted by the NSW Department of Primary Industries using boat mounted sonar technology. It was impossible to match specific locations between the surveys, so with the help of another UNE supervisor, statistician Dr Cara Miller, Ms Pearson devised a method for comparing the maximum channel depth along five-kilometre stretches of the river. Having identified a shallowing of the river, Ms Pearson is now working to assess whether the laying-down of sediment is historical or is still occurring as river flows are depleted by upstream extraction. Ms Pearson will also investigate the sources of sediment to the river, specifically the likely contribution of sediment from localised gully erosion. Along with upstream contributions and wind erosion, localised gullies have likely contributed large quantities of sediment to the river over the past century. Her conclusions may help policymakers understand whether the shallowing of the Darling, and potentially other low-energy inland rivers like it, can be halted or whether other measures need to be taken.